BidTamer is a eBay auction sniping service that automatically places your bid at the exact time you specify. This results in you winning more auctions at a much better prices. Simply set your Maximum Bid, Quantity to Purchase, and the Timing of the Bid. 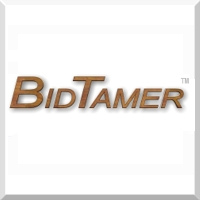 Once a bid is scheduled, you no longer have to worry about keeping an active eye on the auction, BidTamer will take care of the bidding details at the exact moment you specify.